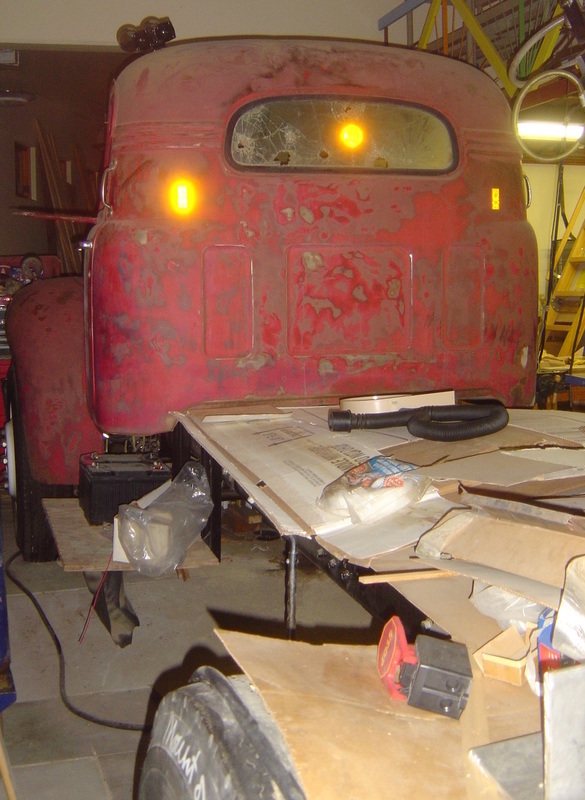 I am currently restoring a 1956 Mack B-42. It was originally part of my dad's concrete business and is the only one remaining. 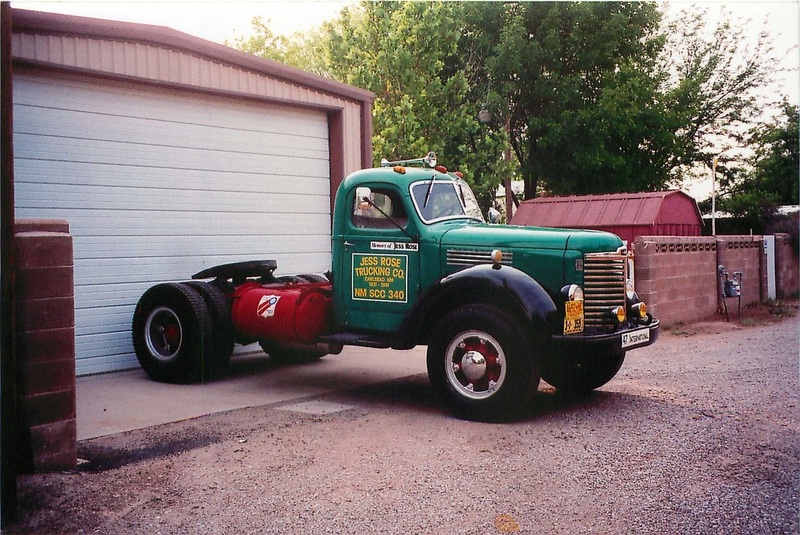 These gas engine trucks did not have enough power to drive the truck and the mixer, so it had a separate Chrysler flat six gas engine to drive the mixer. 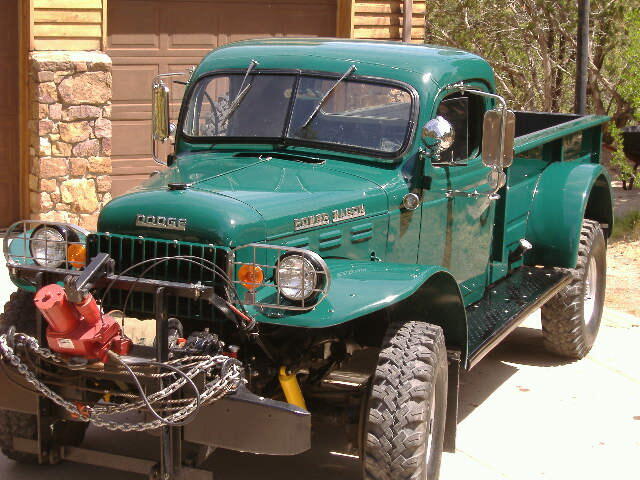 In the late '70's or early 80's we sold the mixer unit to the Santa Fe Ski Basin who mounted it on an Army 6 x 6. We carried 8 yards of concrete up to the Ski Basin on a newer concrete mixer truck, parked on a hill above the 6 x 6 and poured only 2 yards at a time in the charge hopper. Then the 6 x 6 climbed up the hills to pour the pole bases for the new upper lifts. It could only take 2 yards maximum or the concrete would come out the back climbing the steep hills. Today helicopters are used carrying a pot to pour the lifts on high mountains.​ Today the truck is powered by a Mack ENDT-675 turbocharged diesel engine. 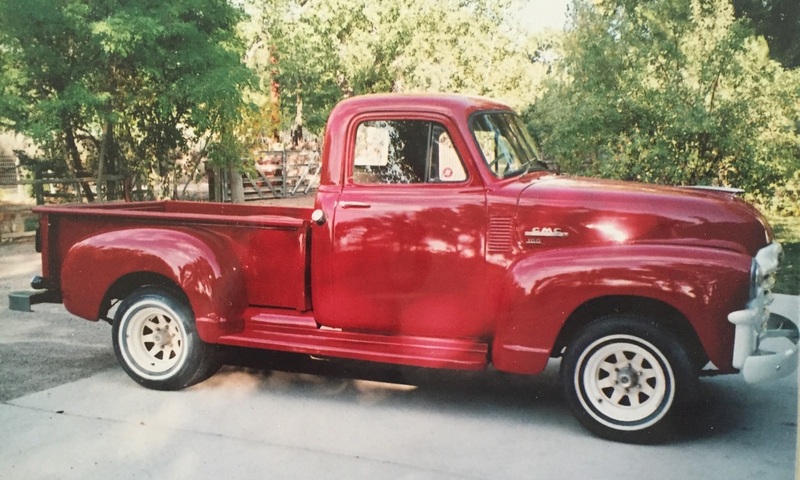 1954 GMC 100. 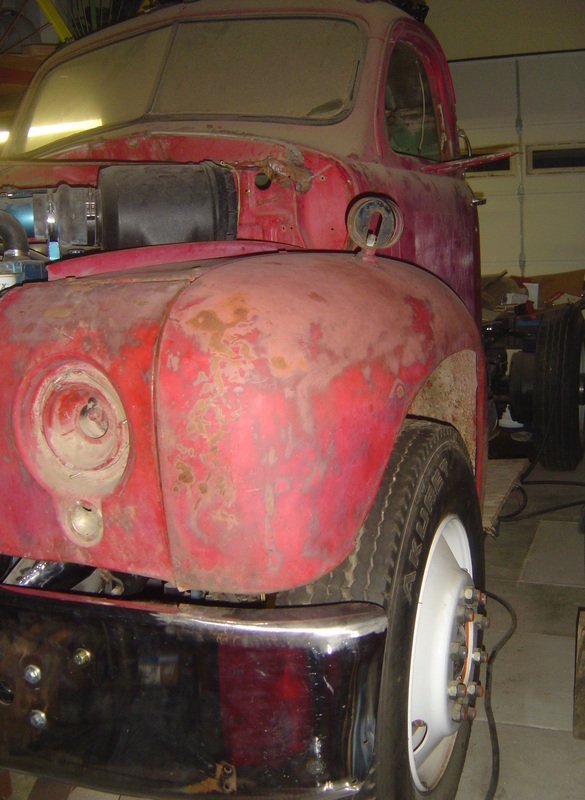 Bill has owned it for 31 years and had all the restoration done. 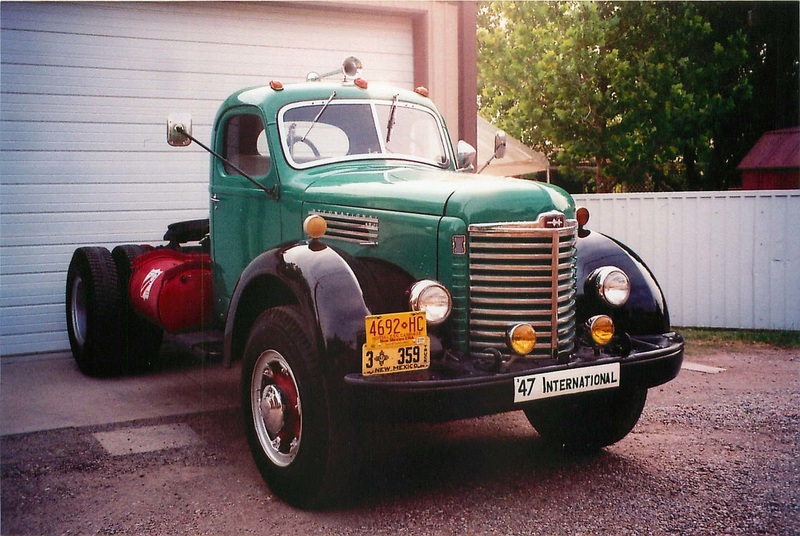 A.L Rose has a 1947 International KB-11 that he restored. It has a 450 cubic inch overhead valve gas engine. 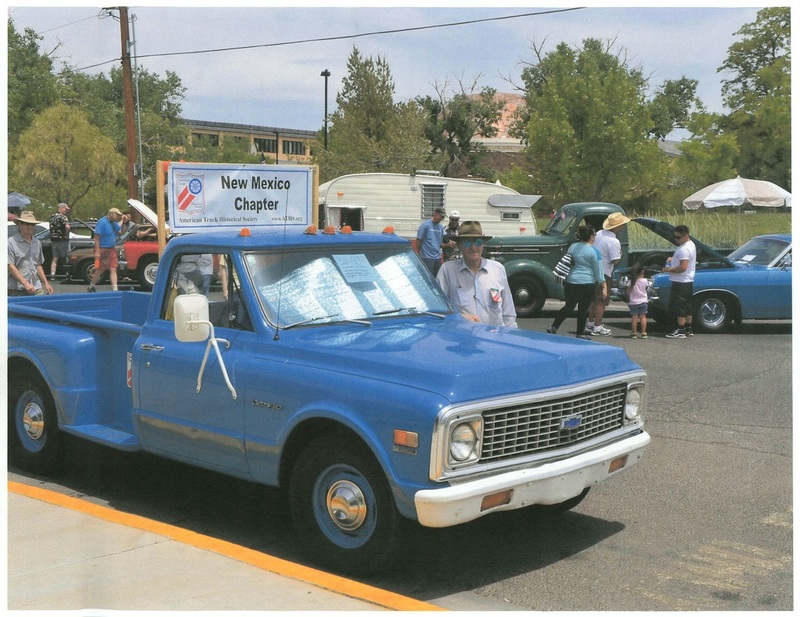 Our current club president with his ​1971 Chevrolet pickup truck. 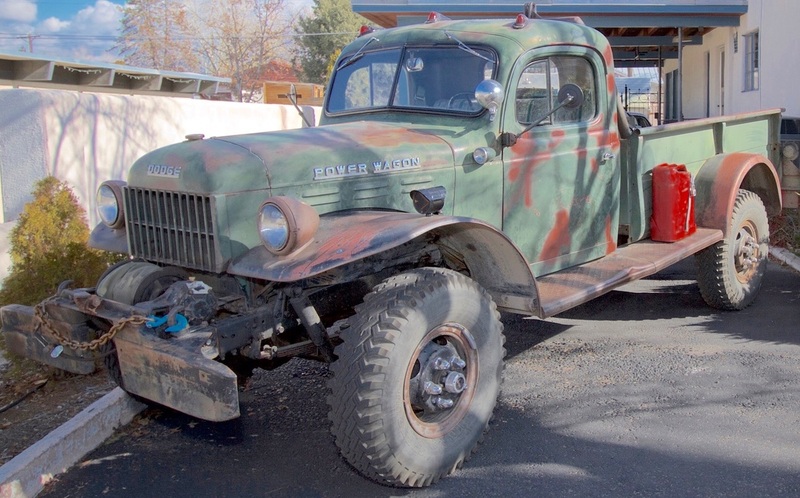 Hooked on Power Wagons since seeing one in a Minnesota fire station as a five-year old. 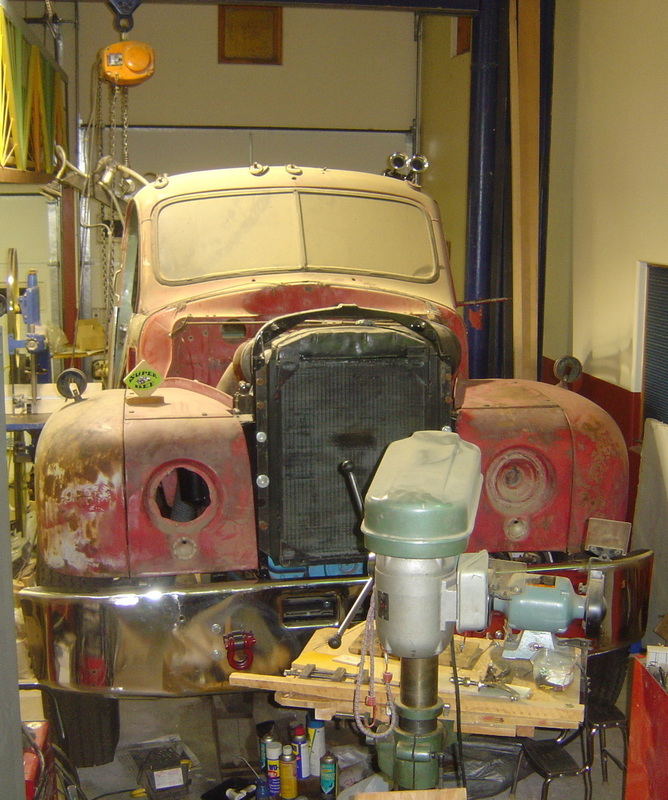 My long term project is restoration of a 1949 White WB20. 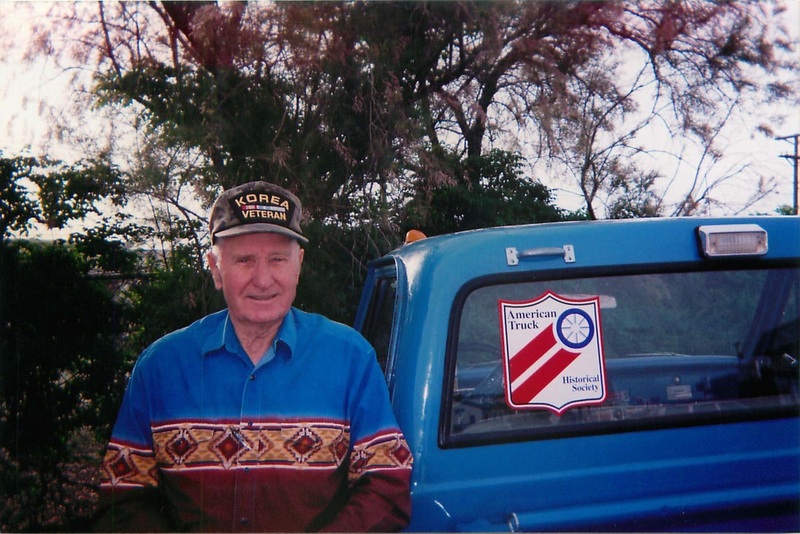 Works as an optical engineer doing high speed 3D imaging during the day and enjoys working on old trucks after work. He enjoys all trucks but especially Dodge and big old trucks. 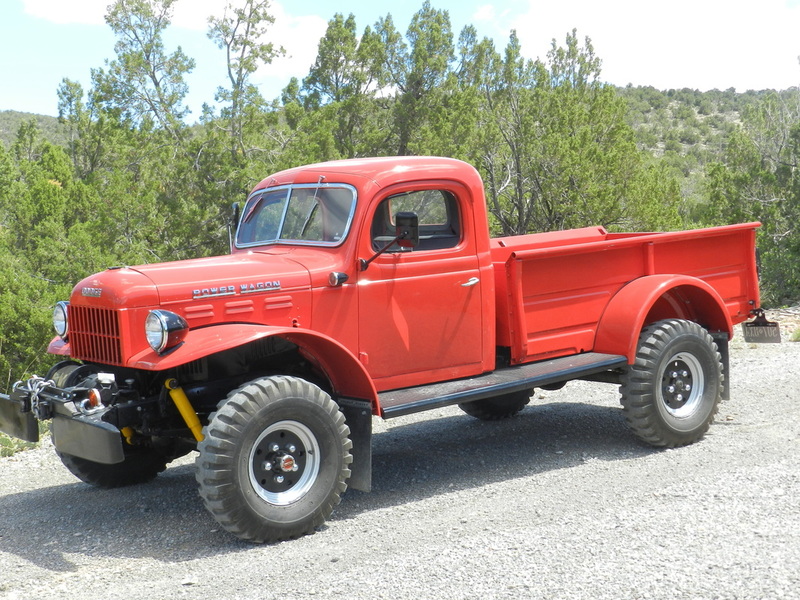 1953 B3-PW Dodge Power Wagon 1-ton. It originally had a 2nd PTO winch in the bed and gin poles. It spend most of its life in Alpine Arizona building log cabins. 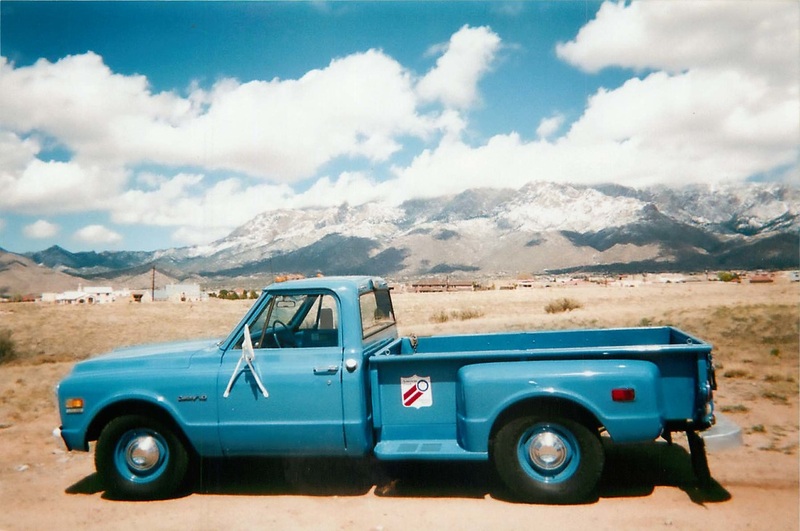 ​ I acquired the Binder in 1971 when I was 19 years old and have been driving her ever since. She has been reliable transportation and has hauled anything I needed her to do. She has not been pampered but has been maintained. I named her the Olde Mule shortly after I purchased her and the name stuck. I still drive her a few times a week and she keeps me smiling. 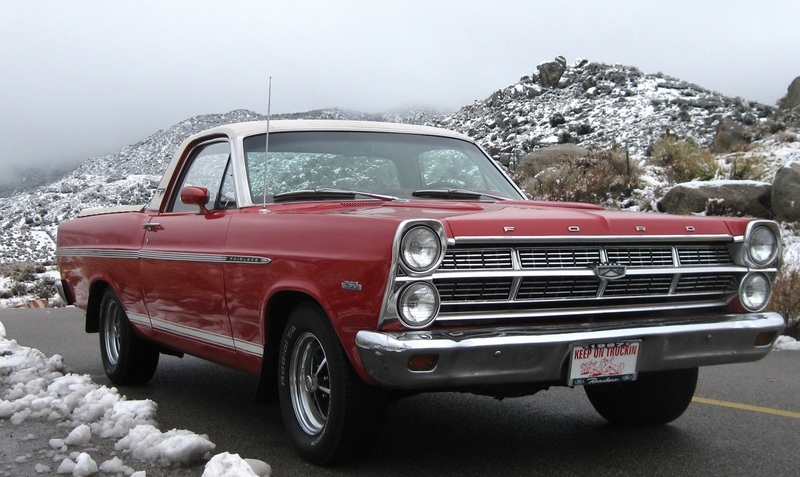 I always liked the 1967 Fairlane styling and liked Ranchero's. I looked off and on for many years and finally this one found me. That was in 2005 and the rest is history. She is a daily driver and does well on the road. She's a keeper. 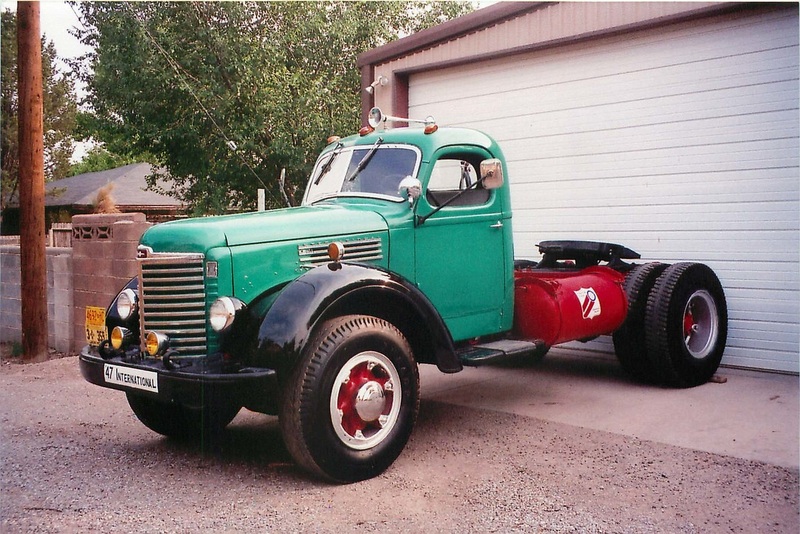 1940 International D-2 "Olde Mule"